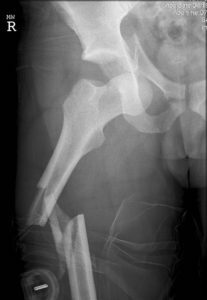 Fracture is the orthopaedic terminology to describe a broken bone. These are usually the result of direct trauma to the body or extremity. These injuries can be treated with surgery or without. Nonoperative treatment usually entails a cast or brace of some time to immobilize the extremity involved. 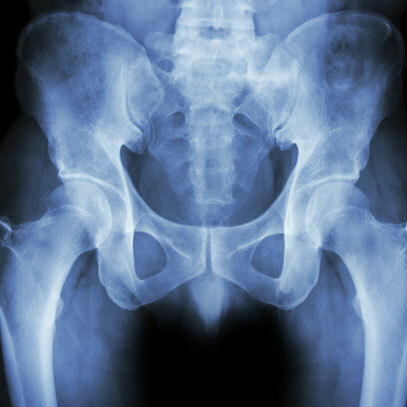 Surgery usually involves the use of an implant to hold the bone in its anatomic position. 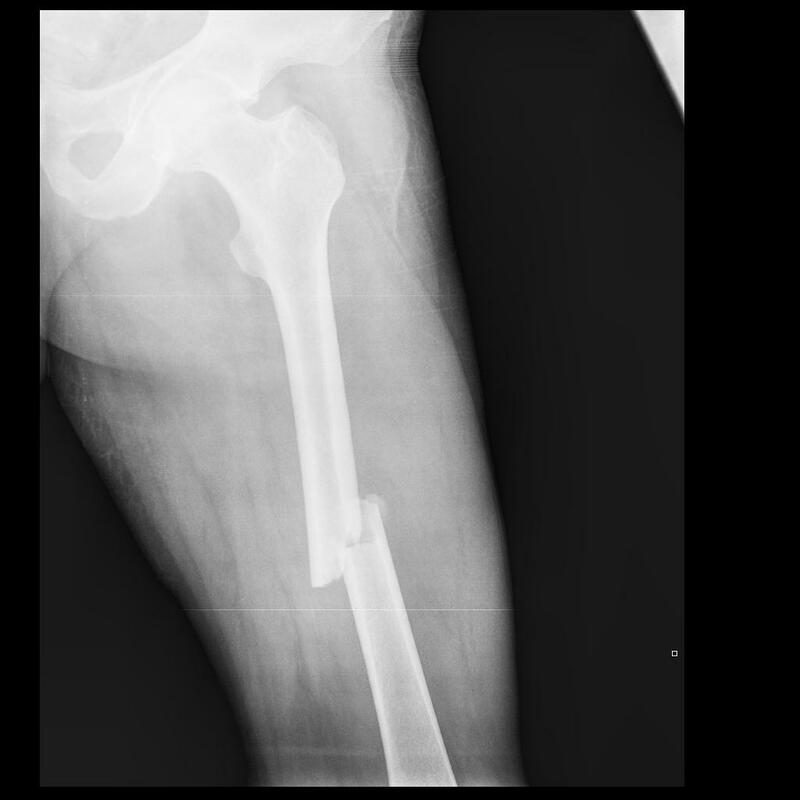 This is also referred to as internal fixation.